The International Association of Aerospace Dentistry (IAAD) held its yearly meeting at the 89th Aerospace Medical Association’s (AsMA) Annual Conference. The meeting was held at the Hilton, Anatole in Dallas, Texas. The Keynote Speakers for the Annual Lectures were Morgan Sandercock, on “High Altitude Physiology Without an Engine”, Ronald Mieczyslaw Przygodski, M. D., “Genomic Medicine: What, How, and Where?” and John B. Charles, PhD., From Here to Mars: How the Twins Study and the Year Long ISS Mission Have Moved Us Closer to the Red Planet”. The IAAD Business meeting was held in the Coral Room, Tuesday, May 8th. We had a full quorum present, and the minutes from last years meeting were approved. The treasurers report was given and this years “New Members were announced. The Topics discussed were the Increasing the exposure of the Website, and FaceBook Page and methods to continue to continue to increase membership. Dr. Ramon Dominguez-Mompell spoke about bringing another Dental Panel to the meeting next year. There were five members that stated they could present for next years panel. The Dental Panel was presented on Monday, May 07th, in Ball Room E. Three presentations were given, in the following order. Not all authors are listed in the presentations below, but can be obtained along with the abstracts provided, in the AsMA Journal, March 2018, Volume 89: Number 3., p. 191. Dr. Daniel Robles: Presented “Benign Paroxysmal Positional Vertigo as a Complication of Sinus Lift Augmentation with Osteotomes: Clinical Implications”. The IAAD wishes to thank AsMA for their continued support, all our Board Members, and all those who presented and attended our Business Meeting and General Assembly. 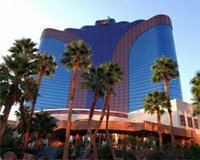 We look forward to a great meeting next year at the Rio All Suites Hotel, in Las Vegas, Nevada, May 05th-9th, 2019.